Observation - Rosebay willowherb - UK and Ireland. Description: Often seen on barren ground, it is also known as fireweed as it was the first plant to re-colonise bombsites during the War. 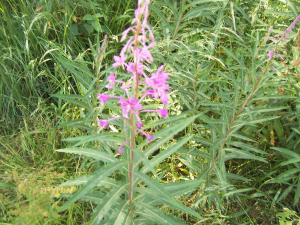 Often seen on barren ground, it is also known as "fireweed" as it was the first plant to re-colonise bombsites during the War.